As it is Antibiotic Awareness Week this week, Dr Steven Rudolphy took some time to discuss the issue of antibiotic resistance. 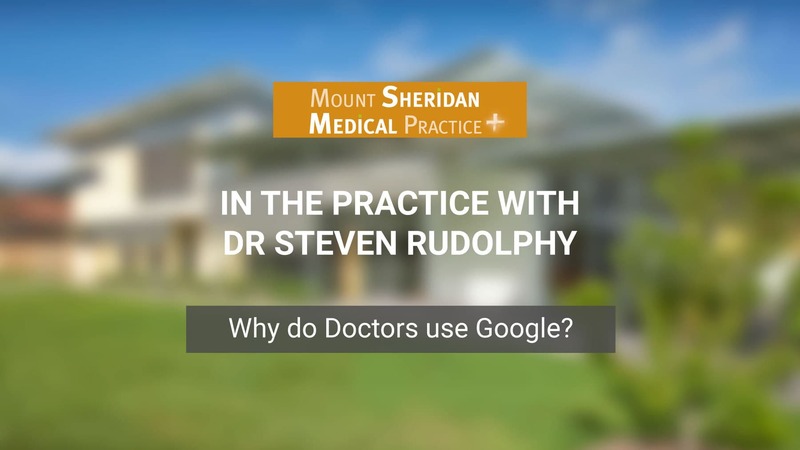 I’m Dr. Steven Rudolphy at Mount Sheridan Medical Practise. I’d like to talk a little bit about antibiotics. Antibiotics have been around for many years and we’re constantly told that if we overuse antibiotics that, in time, they may not work. And my experience over 20 years of practising here in Cairns is that when I first came here every child who had a cold seemed to be given antibiotics. Our practice has always been a low antibiotic prescribing practise. And the reason for this is that over time, certainly in the 1990s, we just gave antibiotics and they seemed to work. By the late 1990s where we previously thought all the resistant bacteria were just in hospitals, we were seeing more and more out in the community. By the early 2000s we’d always take a swab or take a sputum sample, take a urine sample, because more and more we were finding this resistant bacteria. And this has increased more and more over the last 10, 15 years. And in fact this year, for the first time, I’ve had two ladies come in with urine infections where none of the antibiotics, none of the standard antibiotics were going to work for them. So this idea that antibiotic resistance is coming, it’s already here. And the thing about these bacterias, that even if it’s in one person in the family, they can jump to other people in the family. And as a community perhaps we do have to accept that sometimes you will need a second visit before we give antibiotics. In general we try not to give antibiotics immediately. Often we can just do a bit of a wait and see. Occasionally we’ll even give you the script for the antibiotics and say, “Look, give it 48 hours, see if you get better.” Now look, the downside of this, we often say to people, “Look, 97 out of 100 people with a cold are going to get better without anything.” That still leaves three in a hundred people who will get sicker. And look, the occasional person may get pneumonia and get quite unwell. But in a sense this is the price we have to pay to be able to make sure that antibiotics are going to work for the next generation. Do take the advice of your doctor. There are times when you do need to take them for a long time, but follow your doctor’s advice. A question people ask about antibiotics is if you have antibiotic resistance is it your body that’s resistant? Well it’s not your body, it is the bacteria that are resistant. And often if you’ve had a number of antibiotics, Darwin’s evolution theory means that they will gradually develop ways around that antibiotic. Some people might ask is it just the people taking antibiotics that develop the resistance? The problem is that the bacteria can spread to other people who are in close proximity and even elements within the bacteria can move to other bacteria and pass on the resistance to other people. Some people ask the question should they take antibiotics for simple colds and flus? Certainly in the early 2000s there was a nice advertising campaign which said the common cold needs common sense. And that’s all it does. People often will be given antibiotics, they might take one course, two courses, and then they feel better. But in the background, the virus will naturally run a course of seven to ten days. And so even if you didn’t take the antibiotics you would’ve got better. Don’t be fooled into thinking that antibiotics are doing you some good when really they give you lots of side effects. They can give you diarrhoea, they can give you thrush. And of course you will build up resistance to antibiotics. So just to wrap up, basically there are times you will need antibiotics but there’s no doubt that in countries like Britain, US and Australia we way overuse antibiotics. In places like the Netherlands they prescribe five times less antibiotics. And as a result will have less problems with antibiotic resistance. There are other things slightly out of our control, agricultural use of antibiotics, the use of antibiotics in hospitals. But we can do our part by just asking the doctor to be checked over. Maybe you need antibiotics, maybe you don’t. Don’t come with the expectation that you’ll get antibiotics every single time. To find out more about Antibiotic Awareness Week and the ways that you can reduce antibiotic resistance, click here. If you would like more information or you would like to discuss antibiotic resistance, click the button below.